Tien Giang is a coastal province in the Mekong Delta, South Vietnam. It is one of the provinces in the West that attracts many tourists. This place is quite near the urban area so it attracts many visitors. With the advantage of owning many beautiful locations and delicious dishes, more and more visitors come here. 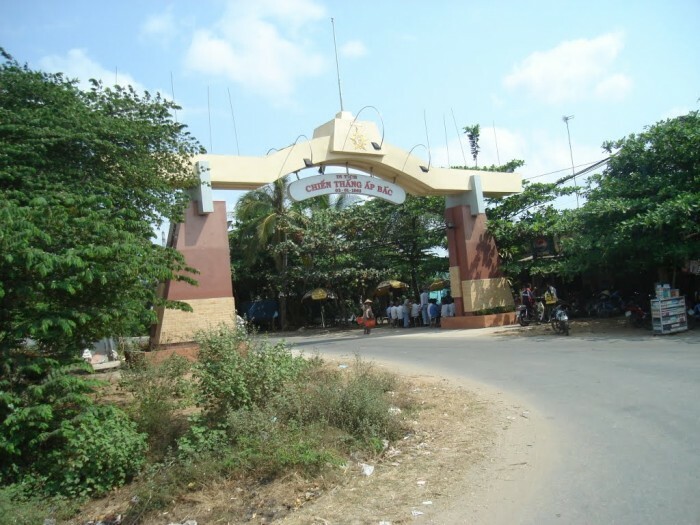 Tien Giang is a potential province for tourism. Every year, the number of visitors increases. Proud to be a leading company offering qualified and affordable tours, our two-day tours will bring you great relaxed moments. The historical attractions are attractive to visitors such as Oc Eo cultural relics, Go Thanh, Ap Bac relics,…. And many tombs, temples are the tomb of Truong Dinh, Royal tombs, Tu Kiet tomb, Vinh Trang pagoda, Buu Lam pagoda, Sac Tu pagoda …. Today, we would like to introduce to tourists some attractions that you should stop by. The first place is Oc Eo Cultural Relic. Owning many natural beauty, Tien Giang is also famous for many famous historical sites, specially Thanh archaeological site. 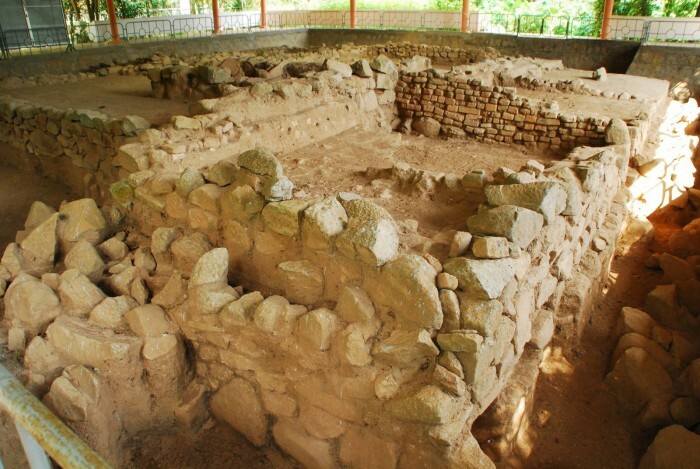 Go Thanh archaeological site bearing the unique culture of Oc Eo, located in Tan Thanh Hamlet, Tan Thuan Binh Commune, Cho Gao District, Tien Giang Province. This is an attractive destination of many domestic and foreign tourists because of its mystery. Go Thanh Monument is considered as one of Tien Giang’s important tourist destinations. Previously, when discovering this land, people discovered a lot of brick and they said it was a vestige of an ancient city. From then on, people often referred to this place as Go Thanh. In 1987, Go Thanh were recognized as relics of Oc-Eo culture. This site has been excavated many times. There are 12 wells and tombs scattering on the mound and many gold, copper, stone and terracotta objects are on display at the on-site display. Tourists will have a chance to admire the ancient artifacts of Oc Eo stored here. Many types of relics such as residency, architecture, burial, especially architectural relics with many temples side by side are very majestic. These varied artifacts symbolize the civilization of the former Phu Nam kingdom. Later, Go Cong monument was remodeled but still does not lose the image of historic relics of historical past. The relics are walled around, the main gate is built with a unique cultural design Oc Eo. 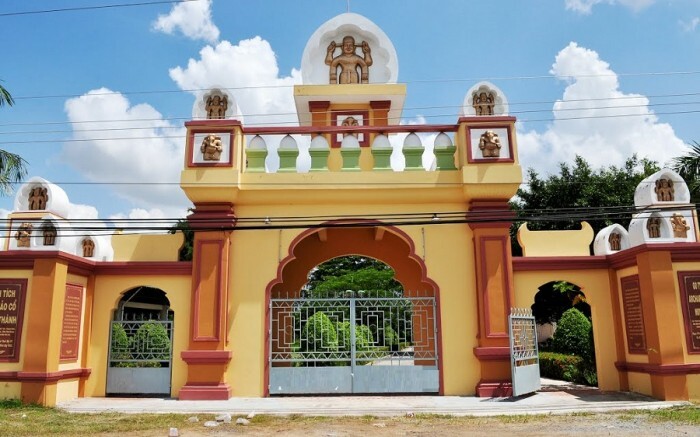 Relics include many areas in which there is a house covering some important temples, a relic exhibit and a large temple in a spacious campus. Go Thanh Monument was recognized by the Ministry of Culture and Information at the national level in 1994. This is an ideal place for history-loving tourists. Visiting this place, tourists will experience and see the history of our people in the past. Next, we would like to introduce Ap Bac Relic Site. Ap Bac relic belongs to Tan Phu commune, Cai Lay district – Tien Giang province. This is a historical destination of our nation. In the war against American, our people have won here. Ap Bac Monument is divided into two parts: Part 1 includes monuments, tombs of three steel soldiers, three large lotus ponds, tanks, aircraft, parks with many kinds of plants. Part 2 includes exhibits, underneath the showcase is a lotus pond, the left is the square and the park is plants. Tourists can burn incense for three tombs in the relic. Three tombs are located in parallel. This is the tomb of the three heroes. 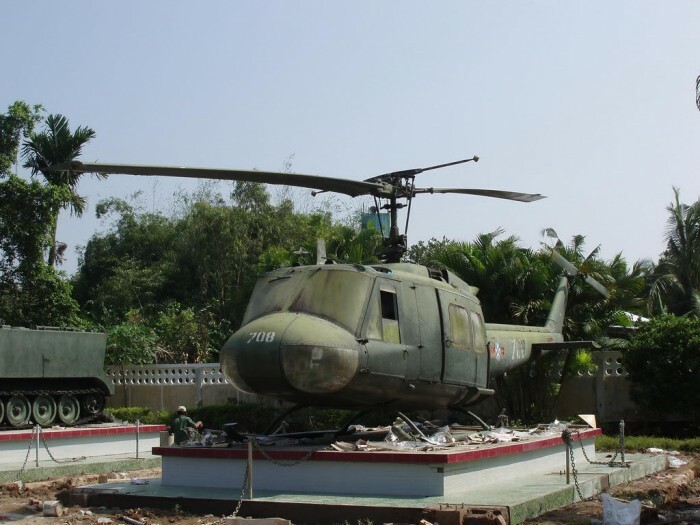 The grave was the record of the battle of Ap Bac: 450 Saigon killed and wounded soldiers, 3 died and 4 wounded American advisors, 8 shot-down helicopters, 3 amphibious vehicles M113 burned, a warship sank. Relics are cleaned daily so it is very clean and spacious. There are green trees to make the air here airy and peaceful. Out of the vast field in the relics are the symbol aircraft, enemy tanks are on fire. The most impressive in the campus of Ap Bac relic is the bronze statue of three high-iron steel soldiers, weighing 18 tons. People holding guns is like the image of the hero to protect the country. Ap Bac relics really bring us back to the battle of the past, uprising our intense patriotism, educating children to follow the example of the heroes ahead. 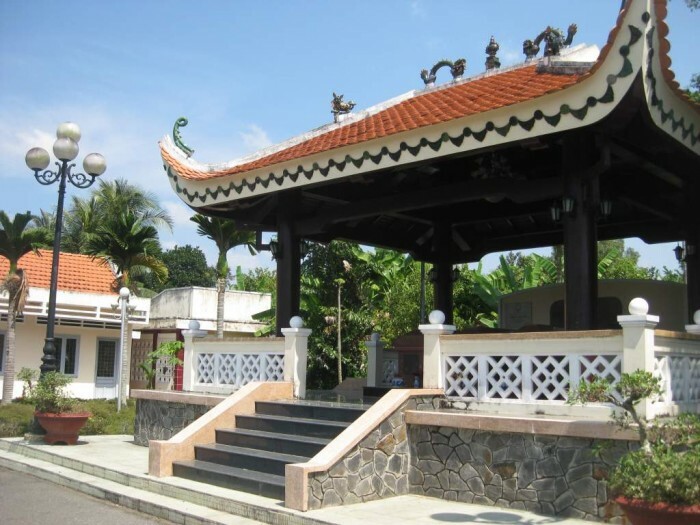 The site is worthy of an attractive destination for tourists in Tien Giang.